HCM CITY – The “Xuc Xac Xuc Xe” music video about the cultural tradition of the Vietnamese Tet (Lunar New Year) holiday, produced by HTV3 DreamsTV and South Korea’s Badanamu management company Calm Island, has debuted in HCM City. 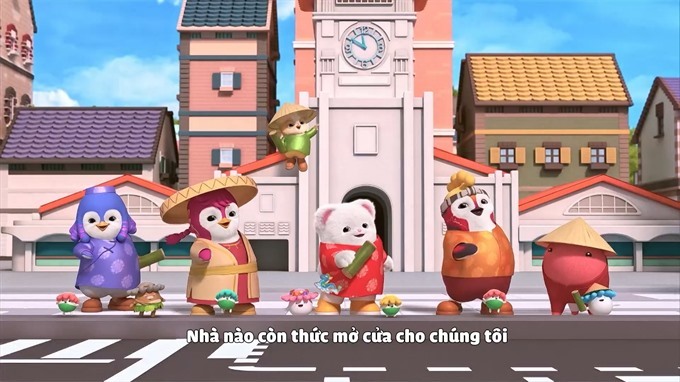 In the MV, adorable cartoon characters that are beloved in many countries, including England, France and Korea, revive the beauty of the culture of the Vietnamese people that has long been forgotten by recreating a familiar Vietnamese folk song performed on the MV, with a spring background accompanied by a modern harmony. “Xuc Xac Xuc Xe” is a child’s Tet song of wishes that describes the habit of children putting coins in a bamboo tube that has two knots at the ends and a slit on one side that is longer than the other side. It is similar to a piggy bank of today. About 15 boys and girls of the same age line up in a row, with the first child holding an oil lamp or a torch. They sing while shaking the bamboo tube to make it resonate with the sound of the folk song. Today, the custom of bringing bamboo pipes to celebrate New Year’s day has been completely lost, even in remote villages. “Xuc Xac Xuc Xe” has a fairy-tale spirit which is hard to find in other Vietnamese songs, making these special characters especially harmonious and unique. Bringing old folk songs to every home in the new year, HTV3 DreamsTV said that it wanted everyone to be reminded of a happy new year, the affection of neighbours and the love and actions of children. With a new version for the Year of the Pig, “Xuc Xac Xuc Xe” has mixed modern rap and electronic sounds with the original MV version. Feeling the music, Badanamu and his friends dance to cute choreography and invite the children to follow along. HTV3 DreamsTV was in charge of creating the ear-catching music, and mixing and sketching the story ideas. 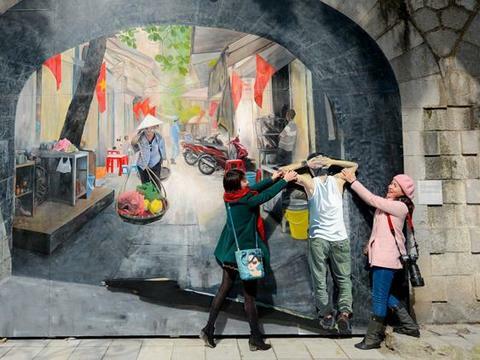 A team of painters and technical experts from Calm Island created the characters’ images and the atmosphere of the three main regions of Viet Nam during the Tet holiday. Launched in 2011, Badanamu is an educational product for children aged one to eight. It has is present in more than 30 countries, including England, France, the US, South Korea, Singapore, China and Egypt. The project’s more than 200 videos have received over 3 million views on YouTube.